It’s that time of year again when a woodland walk will be interspersed by the smell of wild garlic on the wind. 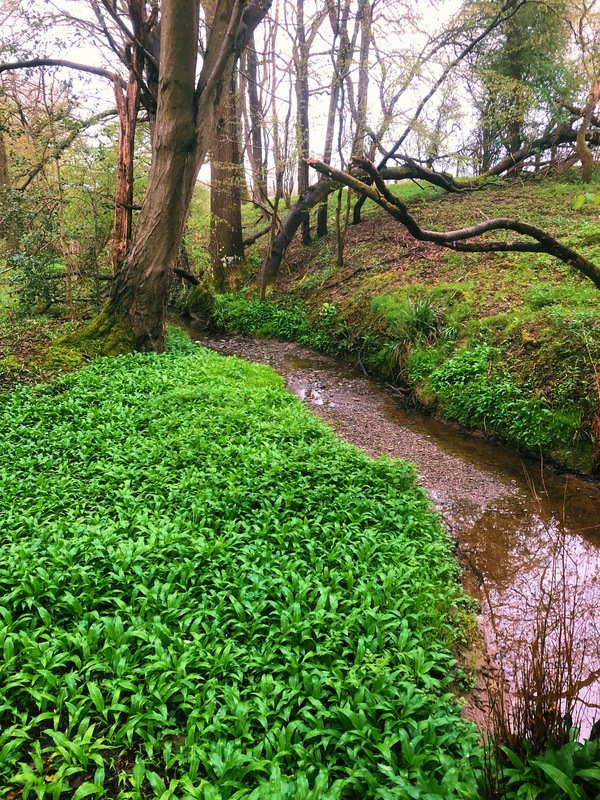 Follow the scent and you will find wild garlic growing – often near a stream – ready for picking. 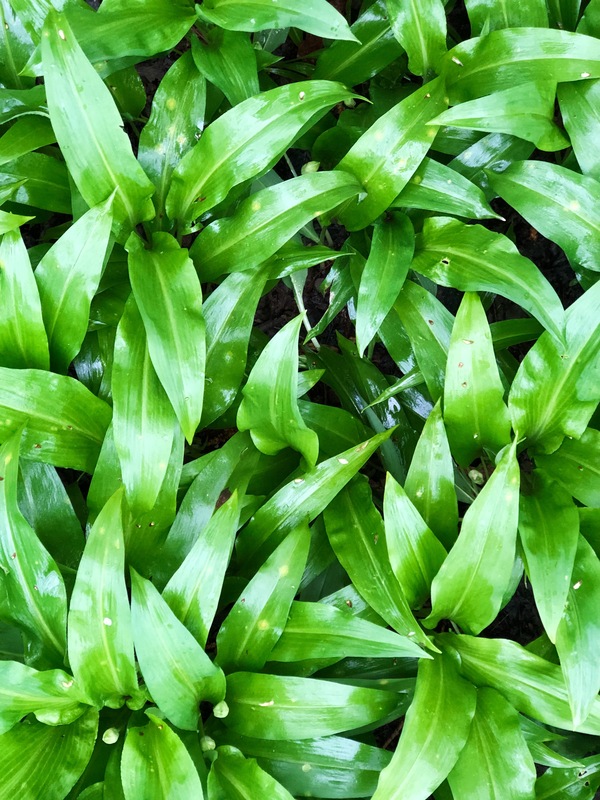 Over the years I have shown a number of wild garlic recipes on my blog so I thought it may be helpful to point them out. 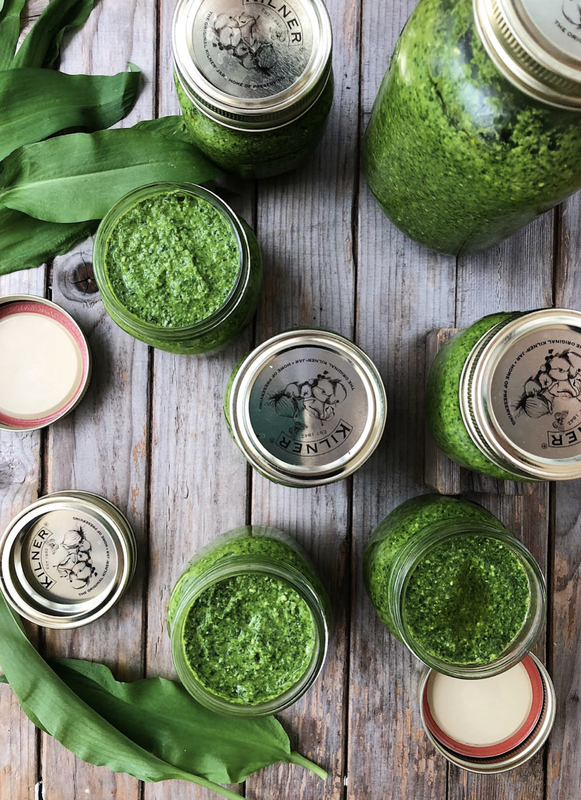 If this is your first foray into foraging wild garlic may I suggest you start by making wild garlic pesto as it is very straight forward, tastes delicious and freezes really well (so much so I have enough to last me over the winter months and until the season starts again). You can find the recipe here. When picking wild garlic simply break off the leaf, leaving the root and stem intact. 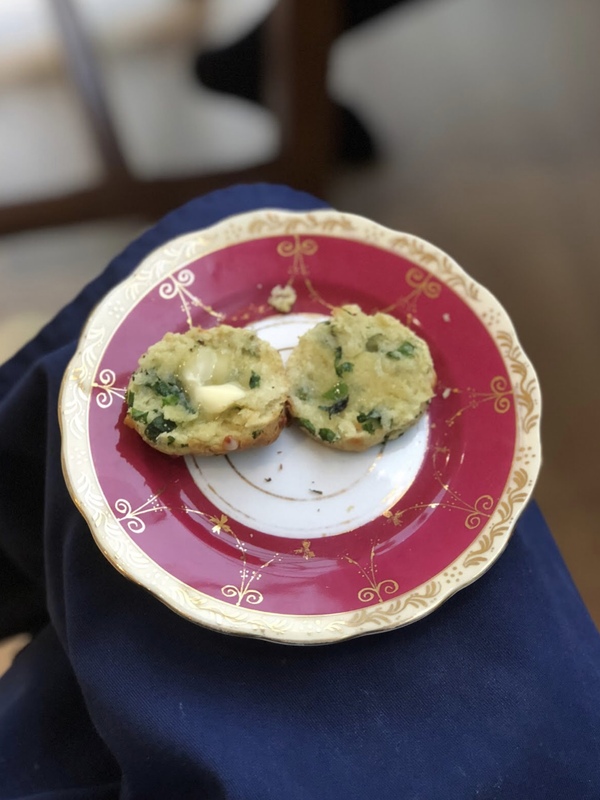 Wild garlic scones are great fun to make and a delicious treat after a spring walk – perfect for Easter gatherings. 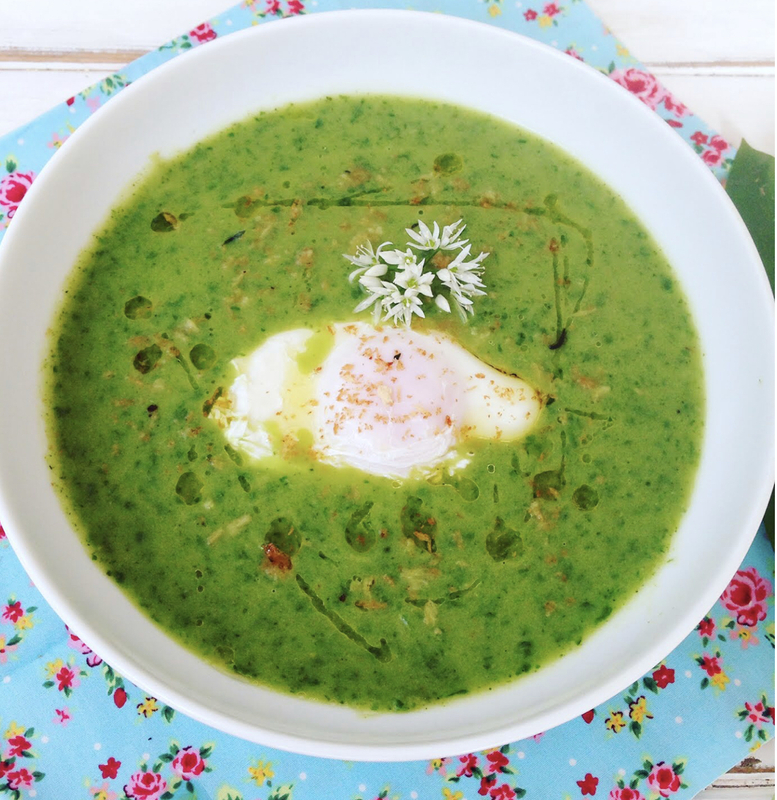 Perhaps you are into soups – like me – then you might like making my wild garlic, courgette and lemon soup with a poached egg and panko breadcrumbs. Or you can simply spread on hot butter toast, which is the favourite option of my eldest daughter and sister. 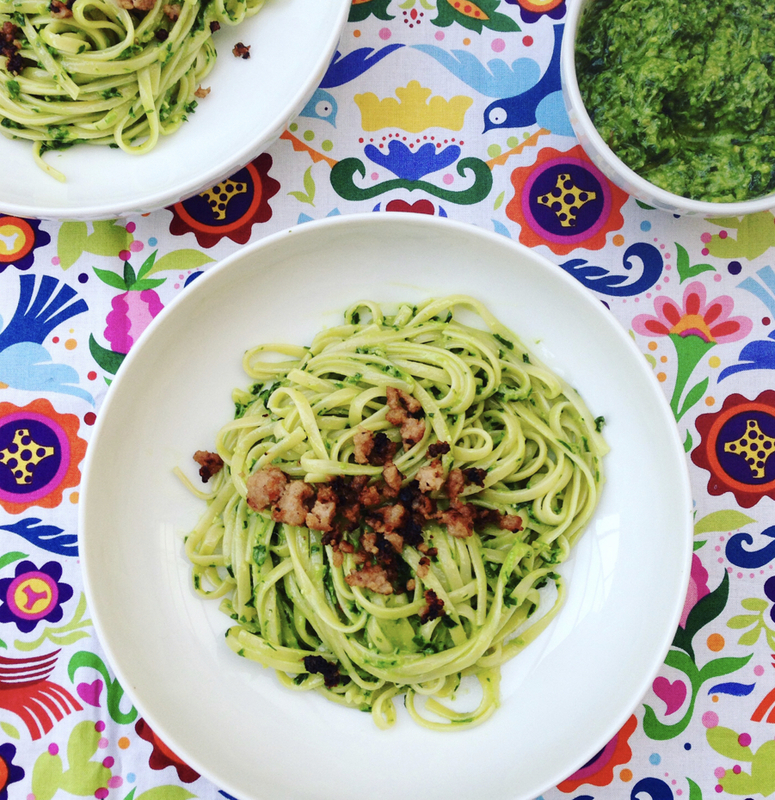 How do you like to eat wild garlic? Have you ever eaten it? Any other new suggestions welcome in the comments section below. Happy Easter everyone.